A new Traffic Commissioner for Scotland has been appointed by Transport Secretary Chris Grayling. Claire Gilmore will take up her post following the retirement of Joan Aitken in February 2019. Traffic commissioners are responsible for the licensing and regulation of bus, coach and goods vehicle operators, and registration of local bus services . They can call operators to a public inquiry to examine concerns about vehicle and driver safety. They also deal with professional drivers at conduct hearings. The Traffic Commissioner for Scotland has a number of additional responsibilities, including for taxi fare scale appeals. 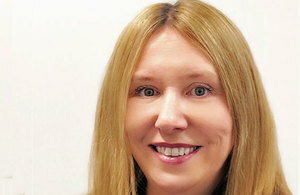 Claire Gilmore is currently the Senior Investigating Officer in the office of the Commissioner for Ethical Standards in Public Life in Scotland. She is a lawyer, with substantial experience in regulatory litigation, and is also a qualified engineer.